Last Monday night we had our 3rd session for the Harriet's Sampler class. This is truly a labor of love! And a study in precision piecing, with as many tips and tricks as I can think of to get neat blocks with all those little pieces and points intact! The blocks range from 2" up to 12". Carol, if you are reading, I am sorry I didn't get a picture of your blocks, but there is a next time! Stay tuned for the big reveal in a few months when we have more done! 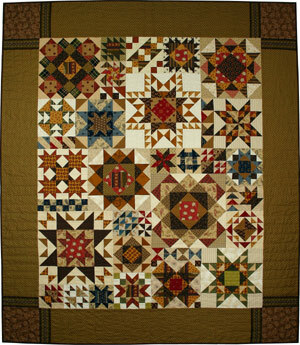 This class is offered over 8 months, so there is instruction and sewing time each month on selected blocks. The blocks are assembled into sections and then joined with borders to finish up. There is still time to join us, if you don't mind a little catch-up work!